This beautiful piece of art is the perfect way to send a unique message and will make a wonderful display in anyone's home! The image is made up of different architectural images to display the word Mr & Mrs. The artwork can also be personalised with any message above the image up to 50 characters and a message below the image up to 50 characters. 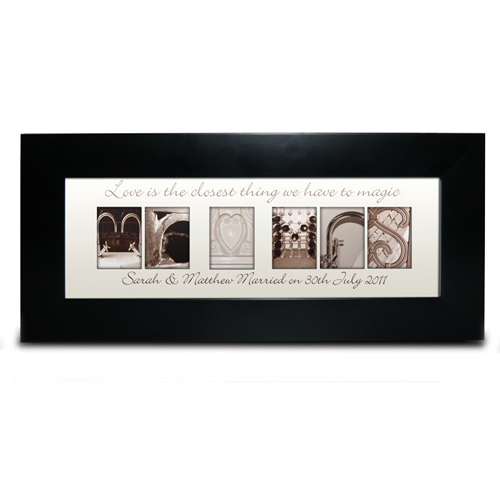 To finish this stylish piece of art each piece is mounted and framed in a small black frame. Personalise with any message above the image up to 50 characters and a message below the image up to 50 characters.